Dental practices are usually small businesses that are spending a great deal on marketing and patient acquisition. This is all in addition to overhead costs which include rent, equipment, staff, maintenance, stock, trainings and conferences etc. It’s important to understand the type of service you are getting from sources like Yelp, ZocDoc and AdWords. People who already have heard about you or were referred to you check your reviews and book online and visit you to reach diagnosis. From there, it is up to you to convince them to address the issue at hand and break down the costs while explaining why they shouldcontinue treatment with you. Most of those people can’t afford the treatment they need, and will put it off or shop around to find alternative quotes and second opinions. Zentist is a mediator between a dentist and a patient, providing cost transparency and freedom of choice to residents and ensuring dentists get a healthy flow of prequalified and motivated patients. Zentist is the bridge between patient and dentist. We created a process to make sure a patient knows what they need and the costs associated before sending them to a dental professional. With the patient’s consent, Zentist will hand over their CT scan to your office so you can get an acute estimate and treatment plan - a process that takes around 10 minutes of your time. Once the patient compares it with two other dentists in their specific region, time spent on both the patient a nd dentist’s end is cut substantially all while raising the chances of a patient continuing treatment with you without sticker shock. How can you make the most out of the Zentist platform? Show that you’re flexible and can provide different quotes and time slots to fit their schedule. Zentist patients who need substantial dental work are qualified for a free CT scan which is then sent to a local dental professional. We give patients cost estimates and treatment plans to choose from so they understand where their money is going before booking an appointment with their chosen dentist. Patients review their available treatment plans and associated costs by three dentists. The majority of people who make it to this point will continue booking their treatment. 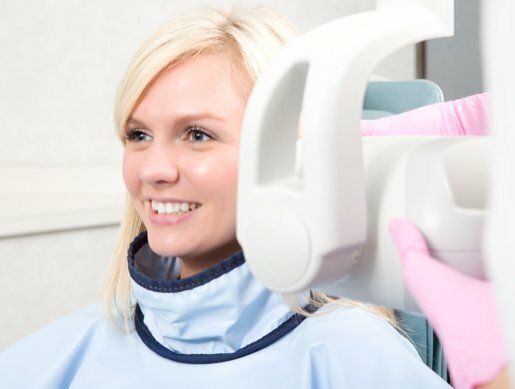 Zentist patients who need substantial dental work are qualified for a free CT Scan and can easily see your profile once you’ve been selected as a recommended dentist. Connect and communicate with patients: see inquiries, medical records, and finalize prices. Patients show up on their scheduled treatment day - less work for you and the patient will leave smiling. Follow up with your Zentist patients via online messenger to ensure a five star review for your clinic. In addition, Zentist offers financing options to its patients, qualifying those with bad credit. Joining Zentist is a time-saver that ensures your patient’s visit will be one that benefits them and the efficiency of your personnel - affording more time actually treating new patients rather than convincing them while trying to work with their unique financial situations. We invite you to join Zentist now to start smiling about your life as a dentist - not a marketing expert, sales expert, office manager.